GEORGETOWN, Guyana (11 July 2016) – Women entrepreneurs across the Caribbean will now have a new way to raise much needed capital for their ventures. FundRiseHER™, the first ever Commonwealth-wide and related crowdfunding initiative was announced on 05 July alongside the CARICOM Heads of Government Meeting in Guyana from 4-6 July, 2016. FundRiseHER™ is the flagship initiative of Valrie Grant, Founder of GeoTechVision and the Commonwealth Woman Entrepreneur of the Year. It is created and powered by pitchandchoose.com the crowdfunding platform for the Caribbean that was founded by A. Cecile Watson and which aims to leverage crowdfunding to attract new flows of capital to the region, create new jobs and drive economic growth. Crowdfunding is a way of financing projects, businesses and loans through small contributions from a large number of sources, rather than large amounts from a few. The contributions are made directly or through a light–touch platform rather than through banks, charities or stock exchanges. FundRiseHER™ was announced by Valrie Grant, the Commonwealth Woman Entrepreneur of the Year, A. Cecile Watson, CEO of pitchandchoose.com, a crowdfunding platform and Arif Zaman, Executive Director, Commonwealth Businesswomen’s Network in collaboration with the Caribbean Export Development Agency. The announcement was made in the presence of Dominic Gaskin, Minister of Business, Catherine Hughes, Minister of Public Telecommunications, High Commissioner of Canada to Guyana Pierre Giroux, Deputy British High Commissioner to Guyana Ron Rimmer, the Georgetown Chamber of Commerce and Industry and women entrepreneurs. It has been warmly welcomed by Heads of Government from across CARICOM as an innovative, important and much needed initiative to improve access to finance for women entrepreneurs to grow and scale their businesses, contribute to the economic development of the Caribbean and contribute to a more visible and vibrant landscape of regional business potential in a post-Brexit world. The game changing FundRiseHER™ initiative, led by two Caribbean women entrepreneurs, has been developed with input from the Commonwealth Businesswomen’s Network (CBW). FundRiseHER™, which has been launched to be a proof of concept for crowdfunding as a vehicle of economic development in the Commonwealth, is being piloted in the Caribbean with crowdfunding campaigns starting in early September to coincide with the Commonwealth Women’s Affairs Ministers Meeting in Samoa and will run for about 10 weeks. The initiative will be spearheaded by Gr8Way Consulting Ltd. out of Jamaica, which will lead the charge throughout the region to deliver on the initiative’s 1:10:50 goal: $1 million grant funding target to be raised through a global rewards-based crowdfunding campaign by 10 participating Caribbean countries/territories and Commonwealth member states for the benefit of 50 women entrepreneurs. The size of grants will be between USD$10,000 and USD$25,000 and will favour the funding of projects or ventures based on: business scaling potential/ job creation/ bias towards climate change, tech, fintech, agro processors, creative industries / % ownership by women. 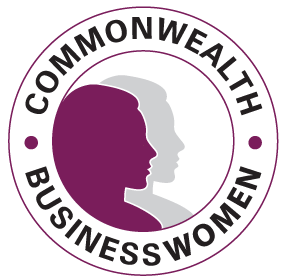 Rewards will include access to CBW’s procurement programme including tenders, training and mentoring with grantees made honorary members of CBW. They will also be invited to join two dynamic networks as members of the Impact Hub and Fellows of the RSA both of which CBW works with as strategic partners. The Impact Hub is a global network of entrepreneurial communities, places, and programmes that inspire, connect and catalyse impact in 81 cities across five continents. The RSA (Royal Society for the encouragement of Arts, Manufactures and Commerce) provides the opportunity to join and collaborate with a global community committed to finding innovative and creative solutions to social challenges and tap additional crowdfunding opportunities and support for Fellows. The initiative is also about engaging entrepreneurs to support entrepreneurs through collaboration. In that spirit, the FundRiseHER logo was conceptualised by Cecile and designed through services contributed by iPrint Digital, a woman owned business in Kingston, Jamaica. There is an urgent need to tap into new sources of finance and to find ways of delivering finance more effectively. The search for innovative finance is even more urgent given an ambitious and comprehensive set of Sustainable Development Goals adopted by the international community and a lacklustre global economy that has led to a dwindling of development finance. With support from governments and development organizations, crowdfunding has an exciting potential to support sustained and inclusive growth. It improves access to capital, helps better manage the supply and demand for capital, drives innovation and efficiency and funds new markets. It also offers an innovative mechanism which has significant potential to further operationalize the untapped potential and power of diaspora investment, especially with the emergence of a 2nd and 3rd generation of post independence business diaspora from the Caribbean and elsewhere in the Commonwealth.